Carsten is Managing Director of E&A Scheer BV in the Netherlands, a dedicated and specialist company blending bulk rum for a wide range of clients world wide. He is also non-executive director of The Main Rum Company in Liverpool, a company specialised in selling casks of rare and old rums. Carsten has been working within the drinks industry for over 21 years and is an experienced master rum blender, blending Rums for many successful Rum brands and various other applications. He has many years of experience as a Rum Judge and chairman of the Rum panel at ISC. Besides his Rum work he holds the position of Honorary Consul for Jamaica in the Netherlands and he enjoys working with Jamaica, other Caribbean Islands and Rum producing countries all over the world. Patick van Zuidam is managing director and master distiller at his family owned distillery, Zuidam Distillers. He started distilling when he was 12 years old in his father's distillery that he now runs together with his brother. 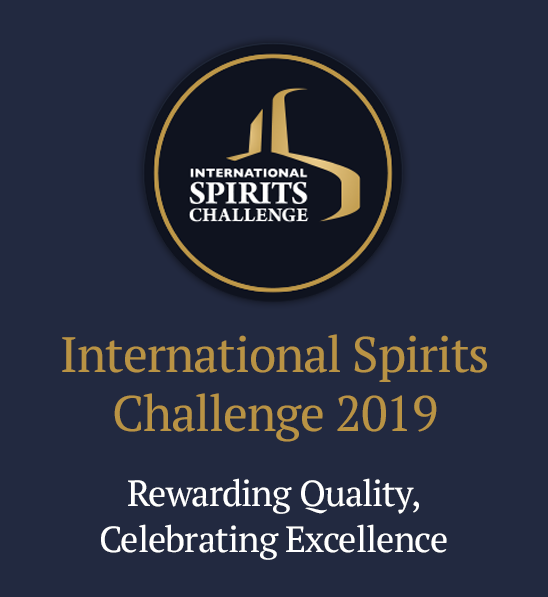 As such he has a broad experience in the distilling and producing of award-winning, ultra-premium spirits and liqueurs for both European and US markets.He is a judge at numerous international spirits competitions. Well known brands include Millstone Dutch Single Malt Whisky, Dutch Rye, 100% Pot Still Rye Whisky, Zuidam Dutch Courage Dry Gin, Zuidam Genever Range and Zuidam Liqueur Range. His involvement with the ISC started as a judge of liqueurs in 1999 and he has been Chairman of liqueur judges since 2000. Ian Wisniewski is a freelance writer and broadcaster specialising in spirits. He has written for various publications and is the author of seven books on spirits, including Classic Vodka, Classic Tequila and Classic Malt Whisky. He is particularly interested in the production process, and visits distilleries on a regular basis. He has been involved in the International Spirits Challenge since 1997 and has been chairman of the white spirits judges for several years. Paul Foulkes-Arellano has been working in design and innovation for 25 years, specialising in alcoholic beverages. He is Client Services Director at Precipice, one of the world's leading design and innovation companies. Pieter holds an Agricultural degree from the University of Stellenbosch, as well as a Certificate from the same university in tasting wine and spirit. In February 1991, he started at Stellenbosch Farmers Winery as assistant winemaker and later was appointed as the first “Brandy Expert” trainee. Pieter began his spirit career as Production Manager at SFW in 1995. In 2003 he was promoted to Distillery Manager of the Distell Worcester distillery and later as the General Manager of Distell’s 3 brandy distilleries. Pieter is currently General Manager Spirit and Packaging at KWV and is responsible for the whole supply chain in the production and distillation of Brandy, Gin, Vodka / White spirit, RTD’s and liqueurs. With 25 years in the spirit business, Pieter also judges on many local and international tasting panels. He was responsible for development of the NQF training material in Brandy and Spirit production and is a board member of the South African Brandy Foundation. Winner of best Brandy Trophy in 2013 (ISC), 2014 (IWSC), 2015 (ISC), 2016 (ISC), 2017(IWSC). Winner of Brandy and Cognac Producer of the Year Trophy in 2015 (ISC), 2016 (ISC), 2017 (IWSC), 2018 (ISC). Winner of Best South African London Dry Gin 2018, 2019 for KWV Cruxland Gin. Development and launch of KWV Centenary Brandy, most expensive brandy sold in South Africa. Co General Manager and Co Owner of Cafe Pacifico, Carlos has 20 years experience with Agave spirits. He has worked with the Mexican Embassy, Mexican Tourist Board and Mexican Chamber of Commerce; organising events such as Annual Tequila Fair and Pro Mexico’s Wine and Spirits Fair as well as Cafe Pacifico’s 10 year running Tequila Season where more than 1/4 of a million customers have been exposed to this wonderful spirit. Frequently travelling to Mexico visiting 50 tequila distelleries and 30 Mezcal Palenquerias, Carlos has also helped launch many tequila brands in the U.K in the last 20 years working in the industry alongside and under the guidance of the charming and knowledgeable Mr Tomas Estes, European Tequila Ambassador. He has also worked as brand Ambassador for Cava de Don Agustin, Maracame and Ocho Tequila. He has judged many Tequila cocktail competitions and has collaborated with national publications on agave spirits articles such as The Times, GQ Magazine, Metro, Evening Standard and ShortList. Carlos currently heads the agave training programs for Cafe Pacifico, the only establishment in the UK to have a certification from the Regulatory Tequila Council in Mexico, for the work on Tequila education to consumers and industry professionals in the UK. He and the Cafe Pacifico team have recently won Competition for Best Margarita in London 2017-18 and also 2018-19, as well as Best Mai Tai UK 2018. As the Master Distiller for the Premium Gin brand portfolio at Quintessential Brands, Joanne Moore is the guardian of the first London Dry Gin recipe, Greenall’s Original, and the creator of some of the fastest-growing and most-loved gin brands in the world today, including BLOOM Gin, Opihr Spiced Gin, Thomas Dakin Small Batch Gin and Berkeley Square Gin. Based at G&J Distillers, the company’s gin distilling home and the foremost gin distillery in the world with distilling heritage dating back to 1761, Joanne was one of the first female Gin Master Distillers in the world and is renowned in the industry as a master of her craft, as the many awards her gins have won attest to. Joanne joined G&J Distillers (formerly G&J Greenall’s) in 1996 as a chemistry graduate and her first role was in the Quality Control department, where she learnt all about the whole production process, from raw ingredients through to distillation and to bottling. Part of the role involved product development and as she learnt more about botanicals, she quickly discovered a real passion and talent for creating gins. She was appointed as Master Distiller in 2006, becoming only the seventh Master Distiller at G&J Distillers since 1761. Since Joanne began her tenure as Master Distiller at G&J Distillers, the company has gone on to win many awards for its gins, including winning International Spirits Challenge Gin Producer of the Year four times in the last five years.